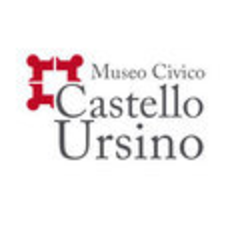 If you are in Catania, come and visit the Ursino Castle, one of the most interesting places in the history of the city. It was built as a fortress for the Emperor Frederick II of Swabia between 1239 and 1250, about 800 years ago, by his architect Riccardo Da Lentini. Did you know that this castle once stood right in front of the sea? In fact, its name derives from the Latin castrum sinus, that is "castle of the gulf", but the terrible eruption of 1669 furthered the sea coast away from the castle definitively. This castle houses the collection of the Civic Museum of Catania since 1934. Inside the impressive structure, you can admire a vast collection of paintings and archaeological artifacts from important private collections donated to or acquired by the City of Catania. In addition, the museum regularly hosts temporary exhibits about national and international artists. Try to enter, you will see! This guide was realized by the class 3DL of the Liceo Boggio Lera and the classes 3LF and 4LF of the Liceo Lombardo Radice di Catania. This guide is part of the project "Sicilia Beni Culturali" for izi.TRAVEL and was coordinated by Elisa Bonacini of the University of Catania.